The model - this model is one of twelve 1/150 scale models released on 26th May 2008. A 1/76th scale model of this vehcile, in Citybus driver training livery, was issued by Drumwell (DW10204) in January 2002. 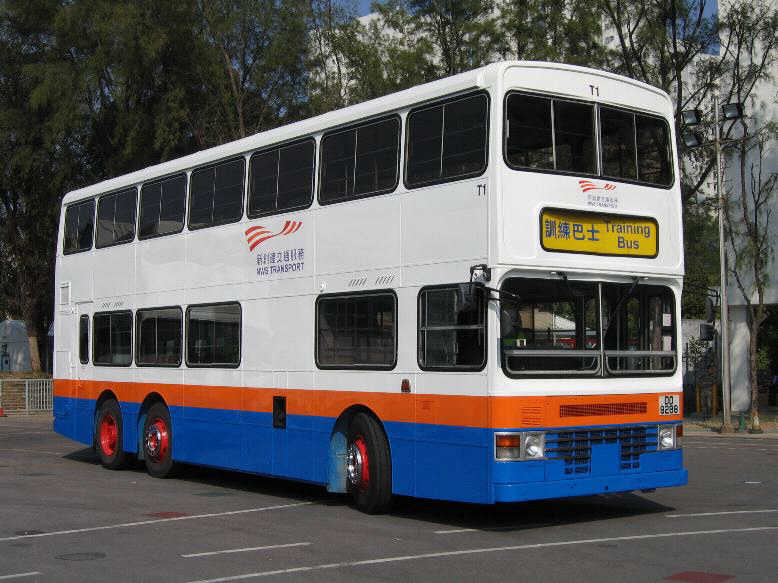 The bus - the DM class of China Motor Bus (CMB) entered service in 1990 and 1991. It consisted of 28 vehicles, all without air-conditioning. DM25 entered service with CMB in January 1991. It became part of the NWFB fleet on 1st September 1998 when CMB lost it's franchise. 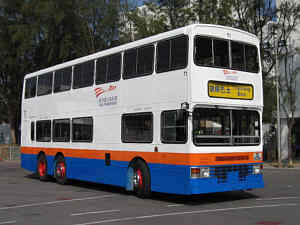 In 2000 DM 9, DM12 and DM25 were sold to Citybus for use as driver training buses. The remainder of the class were withdrawn in 2002, with DM28 being specially decorated as the 'Last Hot Dog', a term used for non air-con buses. DM17 was subsequently purchased and returned to the UK for preservation. In early 2006, the driver training buses of both Citybus and New World First Bus received a new driver training livery, as applied to this model and sporting NWS Transport fleetnames. A page devoted to the driver training buses of the various Hong Kong bus operators can be found in the Xtra section of the site.